New Lush bath bombs are the product I always get the most excited about. The Holey Night Bath Bomb is a brand new release and has proved a very popular product from 2018’s Winter range. Its unique design makes it stand out from the rest; Bright blue in colour with yellow moon-like multi sized craters, it’s like no other bath bomb Lush have ever made. Holey Nights scent is one I haven’t come across before, containing lemon, rose absolute and sandalwood oil it makes for a warm and uplifting bath. Its scent isn’t at all what I expected. I ignorantly assumed that the lemon oil would completely mask the sandalwood. The ingredient my nose picks up on first is however the sandalwood, the lemon is barely detectable but does soften the woodiness of the sandalwood somewhat. Any product that is predominately sandalwood-scented always reminds me of visiting a spa, instantly relaxing me. Since we’ve said goodbye to the discontinued Yoga Bomb bath bomb I have really missed a bath bomb that has this effect on me. Although at this time of year I crave spicier bath bombs such as the Christmas Sweater bath bomb, Holey Nights has made a refreshing change. Upon contact with the water the Holey Nights bath bomb foams up, dark blue and light green foam spreads across the water surface slowly turning the water underneath it blue too. As Holey Nights bobs around the bath its relaxing and subtle scent fills your bathroom. More colours then appear to fizzle out of the bath bomb which is another thing I didn’t expect at all. – Holey Nights has a hidden colourful centre! Purples, reds, yellows and blues spiral out of the Holey Nights bath bomb creating the most beautiful bath art, my photos do NOT do it justice. With Holey Nights being a slow fizzer there are umpteen opportunities to capture bundles of bath art photographs. Or if you prefer to just lay back and watch the show, go for it! It really is all singing and dancing. A soak in a Holey Nights bath leaves my skin soft and hydrated. Although once I am out of the bath its scent is even more subtle on my skin, I can still smell it on me well into the next day. This is when I feel the lemon part of this products scent shines through. It reminds me ever so slightly of the light scent left behind by the Dragon’s Egg bath bomb. 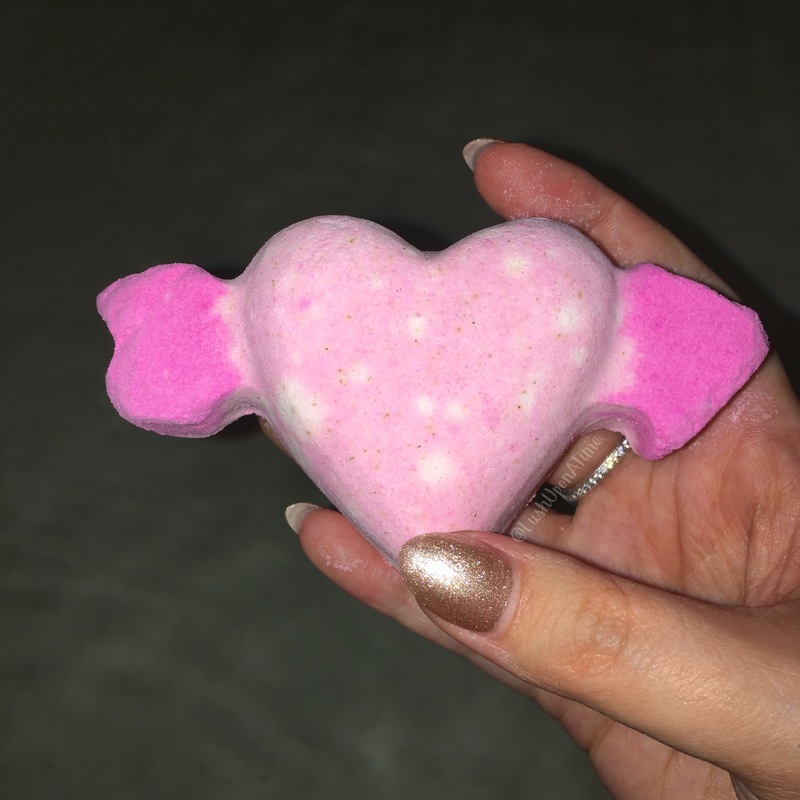 Overall I am really impressed with the Holey Nights bath bomb, its scent is just as beautiful as the pretty bath art it creates. I also love the Holey Night bath bomb because it isn’t an in-your-face Christmas product. I’m a bit of a Scrooge, if it wasn’t for Lush I don’t think I’d get excited about this time of year at all. The Holey Nights bath bomb has made Winter 2018 so much easier to endure. Thank you Lush! If you’re on the fence about trying this product I 100% recommend giving it a go, even if it is just the once, I feel it is worth every penny and hope to stock up on a few before the Winter is through. I am so in love with Lush’s brand new invention, the Lush Moods shower bomb. They are the exact type of product that first got me into Lush. They make the practice of aromatherapy at home so quick and easy. Each of them showcase essential oils at their best. Essential oils have so many positive benefits on your body and I’m excited to see Lush getting back to its roots by reintroducing us to long-loved essential oils, stripping them back in an attempt to enjoy the powers they hold, in ways people before us thousands of years ago used to use them too. Great examples of essential oils and some of their benefits are lavender oil to soothe and lime oil to uplift and refresh. The new shower bombs redefine aromatherapy with their ingredients by engaging your senses, transforming your mood and altering your state of mind, all from just simply taking one of the 4 new shower bombs in to the shower with you. The first one I tried was the Sleepy Shower Bomb. Shaped like a cloud with the word ‘Sleepy’ engraved onto its bottom (see below photo) it got my attention straight away. I am no stranger to sleepless nights so I always gravitate towards the Lush products that are going to help me relax and wind down of a night time. The desired result is that I hopefully drift off into a deep and restful sleep, long before I’ve had a chance to check my clock, stressing over how many hours of sleep I have missed and how many I could get if I could fall asleep at that precise moment. If this sounds familiar to you I’m sure you feel the same way as me and are open to trying anything that you think could help. I felt exactly like this, lost, stressed and tired when I first got into Lush a good few years ago. After researching essential oils I went into my very first Lush store and asked if they could point me towards anything with lavender oil in it. I left with a Twilight and Ickle Baby Bot bath bomb. My first trip to a Lush store was obviously a success otherwise you wouldn’t be reading this now! 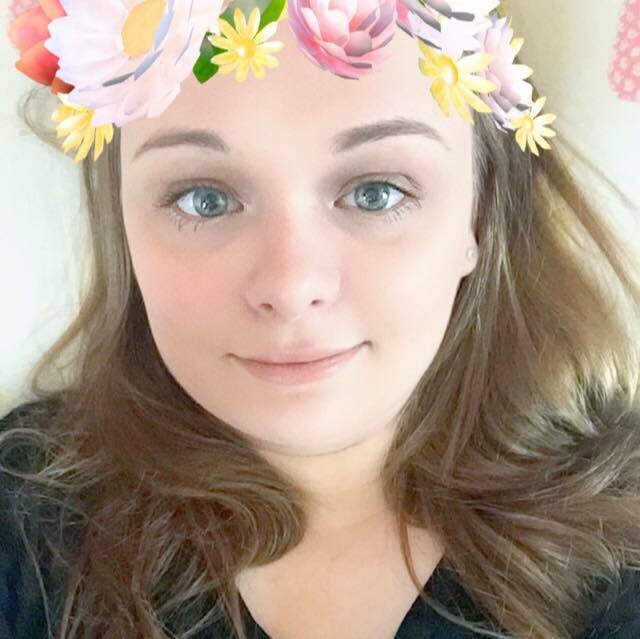 Although Lush haven’t cured my insomnia I find that several of their products do make the process of falling asleep a lot easier. One of those products is the aforementioned Twilight bath bomb. I was therefore delighted to learn that the Sleepy shower bomb actually shares its scent with the Twilight bath bomb. This technically makes the Sleepy shower bomb the Twilight bath bombs shower equivalent. Which is a huge deal for all Twilight bath bomb fans who don’t always have the time to take a bath. Rich with essential oils such as soothing lavender and comforting tonka absolute, I knew that I’d like Sleepy just from reading its ingredients list. To use a shower bomb all you do is take it into the shower with you and hold it under the water, it will instantly expand and foam up. Lush then advise that you take a deep breath, allow the essential oils to surround you and then begin to cleanse yourself with the foam, just as you would use a shower gel. The Sleepy shower bomb begins to foam within seconds, as soon as you put it in the stream of water the hot steam begins to spread its relaxing scent. Although the shower bombs aren’t as smooth as shower gels they pretty much work the same way. With the shower bombs being half foam half almost foam (solid) they are surprisingly good exfoliants too. For the Sleepy shower bomb in particular I recommend breaking it in half and using it over 2 showers. By all means enjoy all of it in one shower if that’s what you want, I just found that there was way more product than what I actually needed in just the one shower. I always use new Lush products with an open mind and if I am going to be honest I wasn’t very excited when I first see ‘shower bomb’s’ in the Lush Lab. I have however been swept away by the Sleepy shower bomb and I am pleased to announce that all 4 shower bombs are now available in all stores too! I have never been so excited and thrilled to get hold of a Lush product more than when I did the Mermaid Bath Bomb. Its name won me over from the get-go, anyone who knows me personally knows that I live in a world where mermaids, unicorns and all things magical are always very, very welcome. If you didn’t know already, the Lush Summit is an annual charity event hosted by Lush, all proceeds made from the sales of the products that are there, go to that products chosen charity. The Mermaid bath bomb was raising money and awareness for a charity of the same name, Mermaids. Mermaids raise awareness about gender nonconformity in children and young people while also providing support for both them and their family. Mermaid’s ingredients include lemon myrtle, ylang ylang and grapefruit oil which happens to be the exact same 3 essential oils that are found in Lush’s Baked Alaska soap. Scent wise, I’d say that the Mermaid bath bomb is almost identical to the Baked Alaska soap I however find it a lot crisper. The long list of fruity ingredients are perfectly suited to this light and airy looking bath bomb, once it hits the bath water waves of pastel shaded colour erupt from it. There are greens, pinks, oranges and bright yellows. The bath bomb dances around the water’s surface sending out swirls of bubbly, colourful patterns, I was left mesmerised by its beauty every time I tried it. As much as I love the bold and bright colours that burst out of the, The Experimenter bath bomb, it’s nice to experience the Mermaid bath bomb’s less intense colours. Its citrusy scent intensifies some what once in the water too, it however like its colour isn’t at all overpowering. It’s gentle enough to lay back and relax in, yet refreshing and tangy enough to give you a boost, the grapefruit oil in it packs a subtle but very revitalizing punch. Although the Mermaid bath bomb is quite a fast fizzer it does create some very pretty bath art. A long soak in a Mermaid bath leaves your skin hydrated and refreshed. Even once out of the bath I could see a difference in my skin, it definitely appeared brighter and revived. I regret bitterly that I didn’t pick up several more of these bath bombs, not only are they in support of a great cause but are also a very enjoyable product. Like the Tiger Tiger Burning Bright bath bomb, I think it is a crime for Lush to not make more of these, please, please, please bring these out online Lush, to not only raise further awareness for the Mermaid charity but to also let the world have a chance of using this beautiful bath bomb. The Seven Deadly Spins Bubble Spinner is yet another brand new release that was a part of Lush’s Easter 2018 line. When Lush first released the bubble bar equivalent of a fidget spinner I honestly had no idea what a fidget spinner was, I’m so uncool and proud… I have since learnt that a fidget spinner is a small toy comprising of two or three prongs arranged around a central bearing. They are designed to be spun by the fingers as a means of improving concentration and a reliever of stress. The bubble bar equivalents of a fidget spinner, (like Seven Deadly Spins) do not work in quite the same way as the toy fidget spinners – (the water from the tap is what essentially makes the bubble spinner, spin). Getting in on the fidget spinner craze is a very clever move on Lush’s part, their original creation of a Bubble Spinner has sold very well and continues to do so. Although I’ve seen quite a few people online getting a little bored of this new type of ‘novelty’ product. (Lush just won’t stop making new bubble spinners!) I can see how popular they are with the younger Lushie’s so understand why Lush keep making more. I believe the Seven Deadly Spins bubble spinner to be the first of the bubble spinners to have just 2 prongs. Any Harry Potter fan will of course notice that Seven Deadly Spins beckons a huge resemblance to the mighty, wizarding worlds football equivalent, Quidditch’s golden snitch. Jam packed with a bunch of uplifting ingredients such as bergamot oil and benzoin resinoid the Seven Deadly Spins bubble spinner has a citrus-fruit, vanilla mix scent. These ingredients have been blended together to create a bubble bath that not only uplifts your spirit but also brightens the skin and helps lull you into a calm, super zingy and totally refreshed frame of mind. Its scent reminds me of the Cheer Up Buttercup bath bomb but a lot more subtle. When the Seven Deadly Spins bubble spinner is held under running tap water, its scent doesn’t become any stronger, for me this was a little disappointing but not everyone is into strong citrus scents like me, therefore this could work very well for someone else. As Seven Deadly Spins is run under the tap copious amounts of bubbles begin to form, the water also becomes an unusually bright, neon-yellow. I WAS NOT EXPECTING THE WATERS COLOUR TO BE SO UNIQUE AND BEAUTIFUL! it was almost impossible to take a photo of its true colour, you have to try it to believe it. None of the photographs that I took do it any justice at all. Bubble wise I wasn’t blown away with Seven Deadly Spins, although the bubbles were thick and fluffy when the bath was first ran, they didn’t last very long. The colour it changed the water however well made up for the lack of bubble-staying-power. Although Seven Deadly Spins (in my personal opinion) isn’t the best bubble spinner Lush have released thus far, it is a product that’s scent isn’t at all overpowering so for those people that tend to reach out for the products that are more delicate on the nose such as the Sakura bath bomb, this could be the right bubble bar for you. The colour it turns your bath water was what won Seven Deadly Spins over for me though, that and the Harry Potter reference! Seven Deadly Spins is well worth a try. The Tender is the Night Naked Shower Cream is a brand new release from Lush. It is currently the product every Lushie is talking about as it is the first of the packageless ‘naked’ products that Lush have dared to release in only a naked form. The fact that Tender is the Night has only been released in naked form has caused a bit of a storm in the Lush community. When the first lot of naked products went on sale last year, Lush also had its packaged equivalent available, giving customers a choice of getting the products naked or packaged. Now that a choice with Tender is the Night shower cream hasn’t even been offered, some customers aren’t at all happy. I honestly don’t mind either way. I’ve heard that Lush did create a bottled version but it worked out so expensive that they scrapped it, whether that’s true or not is another question. The collector in me is a little disappointed as from experience the naked products don’t last nearly as long as the bottled ones (in regards to best before dates etc) I do however understand from trying the other various naked products that plastic is actually just a luxury that does more bad than good. It isn’t actually needed and Lush are proving this through the exploration and inventing of packageless products. Whatever you believe in regards to the naked Lush products, we all know that they are a small yet positive step in the right direction of helping save the planet we live on. I feel as if Lush taking away the choice of bottled shower cream is a huge statement in itself. I also think this statement has been made consciously by Lush too. Do the fish in the sea get a choice when packaging waste is dumped in their home? no. Should we take more responsibility for ourselves and the plastic we make and use? YES. Whether you want to take responsibility or not, the lack of a bottled version of Tender is the Night shower cream has certainly got us all talking about an issue that we all need to wake up and face. The Tender is the Night naked shower cream shares its scent with the very first Lush massage bar I ever got also named Tender is the Night. (pictured in the photo above). Its scent therefore has great sentimental value to me. When I very first took the naked shower cream out of my parcel I couldn’t smell it. This worried me a little, I’d been so looking forward to finally being able to experience the Tender is the Night scent in a different product format. The lack of a scent meant I wouldn’t be getting the experience I had hoped for. Once I had it out and away from the other more dominantly scented Valentine’s products (that I will be reviewing over the next few weeks) I could finally detect the delicate scent that is Tender is the Night. Jam packed with vanilla, jasmine absolute and ylang ylang, its scent although light and airy reflects romance and love perfectly. It’s a beautiful and subtle floral-sweet blend. Even though I appreciate why Lush haven’t made a bottled version of this shower cream I am still not completely sold on the solid shower gels or creams. Some I get on with and others I don’t. The Tender is the Night naked shower cream has however seriously impressed me from very first use. So much so that I have used it every day since it arrived. It lathers easily and a little goes a very long way, both of these are 2 things that I always look for in a shower gel and cream. Lush shower creams are meant to be a little more hydrating than the shower gels, although Tender is the Night isn’t quite as moisturising as the likes of the Yuzu and Cocoa shower cream it does leave my skin feeling soft and looking refreshed. The scent of it during use is just as good as the massage bar, its subtle scent also lasts all day on my skin leaving me eager to use it again. I’m going to be bold and say that the Tender is the Night naked shower cream is my favourite of the naked shower gel/creams that I have tried out so far. A selfish bit of me pines for a bottled version but the naked version has left me more than satisfied. I hope Lush decided to use this scent in other future product formats as it’s one of my all time favourites. As soon as I heard about Lush’s new Cupid Bath Bomb I just couldn’t wait to get my hands on it. Nothing gets me more excited than when Lush Cosmetics bring out a brand new bath bomb! The Cupid Bath Bomb is 2 shades of pink, reflecting the Valentine’s period perfectly. Designed as an arrowed heart, Cupid is the first word that comes to mind when you see it. The arrow is a beautiful hot pink while the heart is a lighter pink. Yes the Cupid bath bomb is quite a small bath bomb in comparison to the Fizzbanger or Intergalactic but bath bombs don’t have to be big to be good. The Cupid bath bomb shares its scent with the Razzle Dazzle bath oil. It contains bergamot, rose and violet leaf absolute. The ingredient that got me most excited however was the fresh raspberry juice. The raspberry scent in Cupid is the most prominent of the ingredients, it reminds me of the petits filous yoghurts that I used to have in my lunchbox when I was a kid. As soon as the Cupid bath bomb hits the water pink fizz shoots out of it, at this point I could really smell the violet leaf absolute as well as the raspberry, anything violet like helps me unwind so I can never, ever get enough of it. I find violet leaf particularly helpful for tension, it is also my go to ingredient when I have a migraine brewing. I just can’t get enough of this bath bombs scent! Cupid is a very slow fizzer and creates the most beautiful light pink, white and ever so slightly darker pink swirls on the top of your bath water. I wasn’t expecting much bath art from it but it did create a small amount that was worthy of a photograph or two. I couldn’t believe how such a small bath bomb had, had such an effect on how the bath water felt on my skin. Once Cupid has fully dissolved you are left with silky smooth, light pink bath water. The bath bombs scent stayed with me through out the bath. Once you’re out, the scent is very subtle on your skin, I could still detect it long after getting out of the tub. I will most certainly be stocking up on the Cupid bath bomb before Valentine’s 2017 is over. So far I have tried it with Lush’s Tender is the Night massage bar . This combination was so much better than I expected. Another product I can’t wait to pair Cupid with is the Mumkin bubble bar.